Until today I could count on one hand the number of times that I have shot a carbine or rifle. 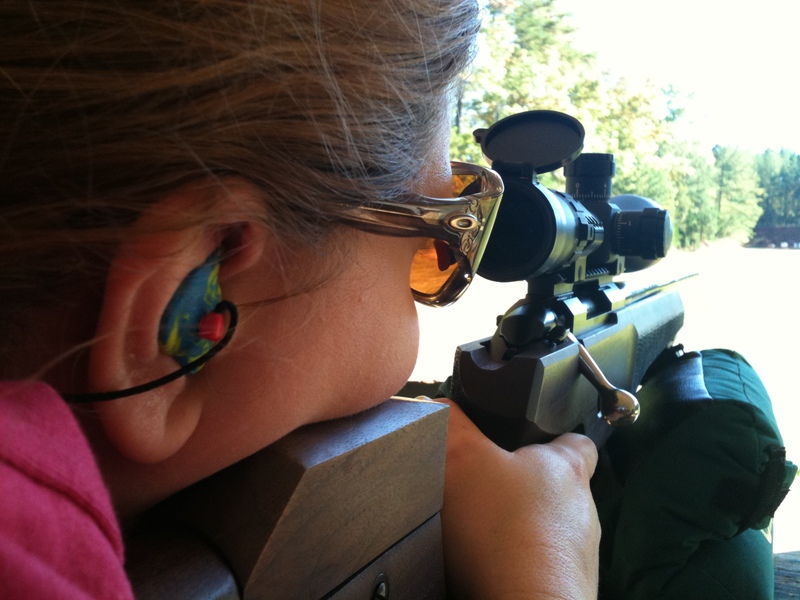 I have focused on learning competitive handgun shooting but recently developed a love of shotguns and sporting clays. 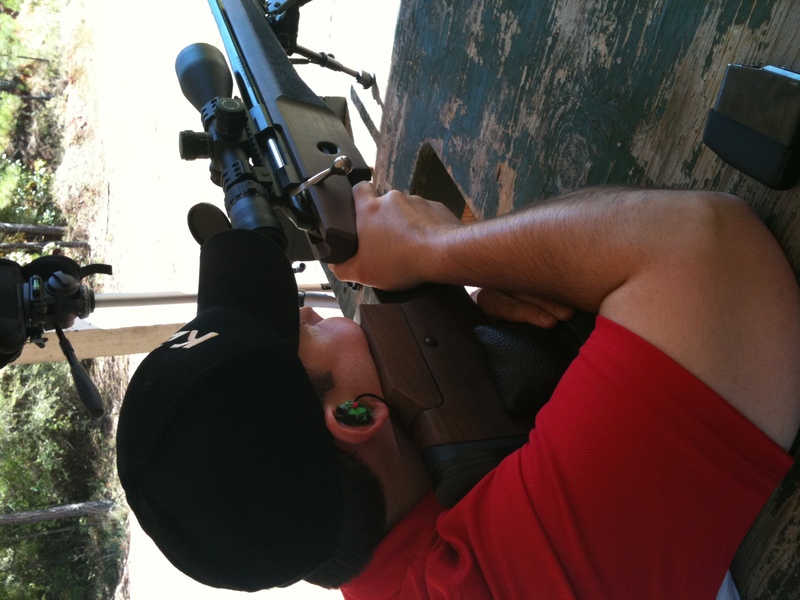 Since hunting season opens soon, Danny and a friend wanted to spend a day at the range with their rifles. 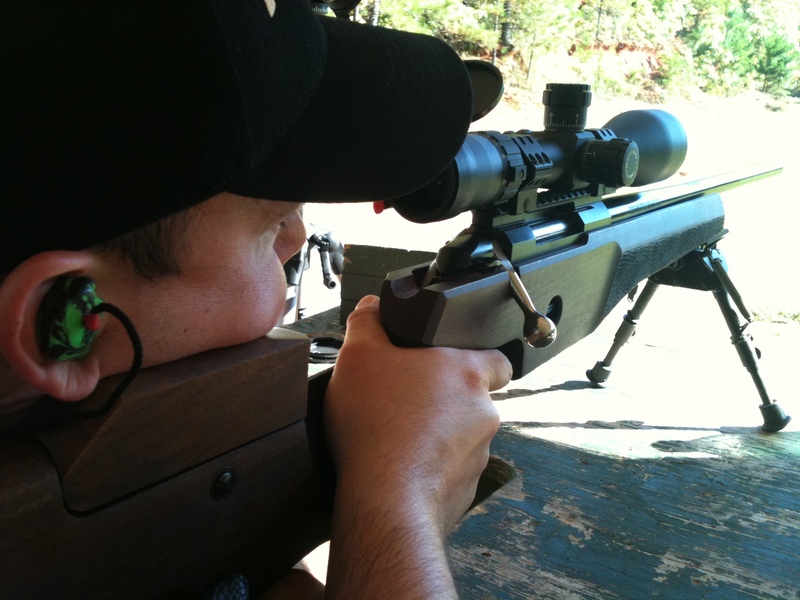 For several years now Danny’s favorite rifle has been a Tikka Master Sporter. Finally, I decided to try my luck with his 308 Winchester model and the new Weaver Tactical 3-15 X 50mm scope. I am in LOVE. Check out my first group at 200 yards. Now remember, I have shot a rifle maybe one time in the past at 100 yards. Shooting the Tikka Master Sporter with the Weaver Tactical Scope with Illuminated Reticle. We used Nosler Trophy Grade Ammo. Danny and Dave were there to help me learn to shoot a custom AR 15 with a Surefire suppressor along with the Tikka Master Sporter with the Weaver Tactical Scope. I really can’t say which was more fun – the custom AR was a real treat but the tight groupings of the Tikka were impressive. The AR with the Surefire suppressor is so quiet. You really don’t need ears to shoot it. Quiet a difference from the sound of a 300 Win Mag rifle a gentleman had down the line. Full review will come later this week of our rifle practice but here are the quick specs on what I was shooting today to get such an awesome group at 200 yards. Rifle: Tikka Master Sporter 308 Win. The Tikka has a stainless steel bolt with a detachable magazine clip that holds 4 to 6 cartridges, depending on caliber. The single-stage trigger pull is adjustable and the stock is made of walnut. The free-floating barrel is cold-hammerforged. Made in Finland. Scope: Weaver Tactical 3-15X50mm. This scope is part of the new Super Slam series by Weaver. These tactical scopes are manufactured to the strictest tolerances in order to perform in the harshest environments. Powerful 5x magnification. The lenses are fully coated with extra hard coating on the exterior lenses. First focal plan reticles. We were shooting during a bright, sunny day but these scopes are waterproof, fogproof and shockproof. Other features are a reset-to-zero turret with no caps to lose and side focus parallax adjustment. 30mm one-piece construction and argon purged tubes to eliminate internal fogging. Ammunition: Nosler Trophy Grade Ammo in 308 Win. 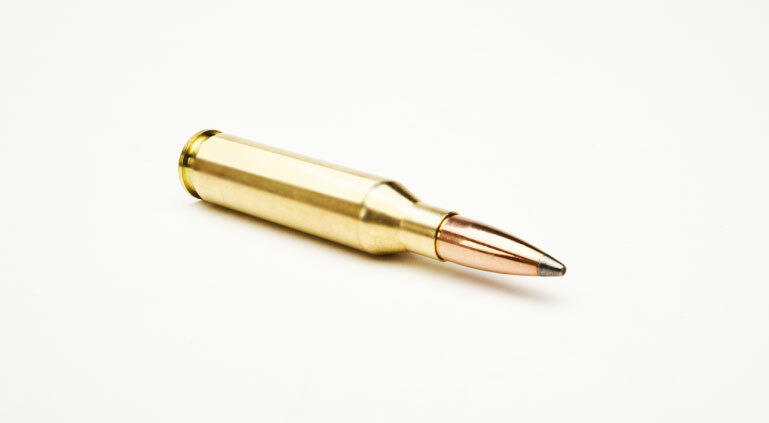 This hunting ammunition allowed our Tikka Master Sporter to obtain maximum performance. We found our groups to be consistent and a reliable load can be your best friend when you are deer hunting. The accuracy speaks for itself. 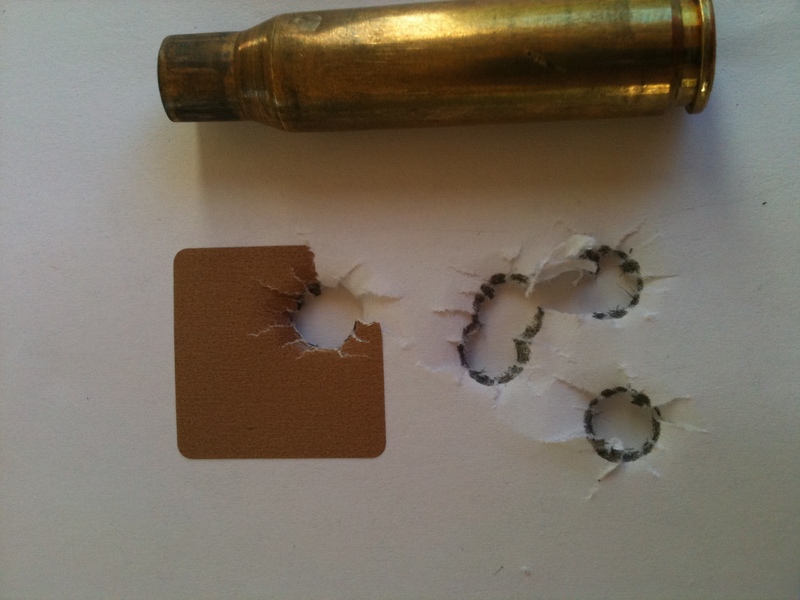 We used a 165 grain AccuBond bullet with a velocity of about 2,400 feet per second at 200 yards. Other Accessories: The other accessories Danny and I used to get such great groups included a Harris bipod and Caldwell shooting bags. Harris bipods are quick detachable and clamp to the quick detachable sling swivel stud of any rifle. Nothing fancy with the shooting bag – we choose a Tack Driver Shooting bag from Caldwell. Why this one? This bag may be the most effective, one-piece shooting bag available. It is portable and can be used almost anywhere from a shooting bench to the field. Carducci Tactical is always dedicated to bringing you the best information. These products used today are our guns, gear and ammo. We are not paid to provide this information to you and did not receive the products from the companies. We enjoy all things hunting and shooting and will always strive to provide unbiased opinions to help you make the best choice for your guns and gear. 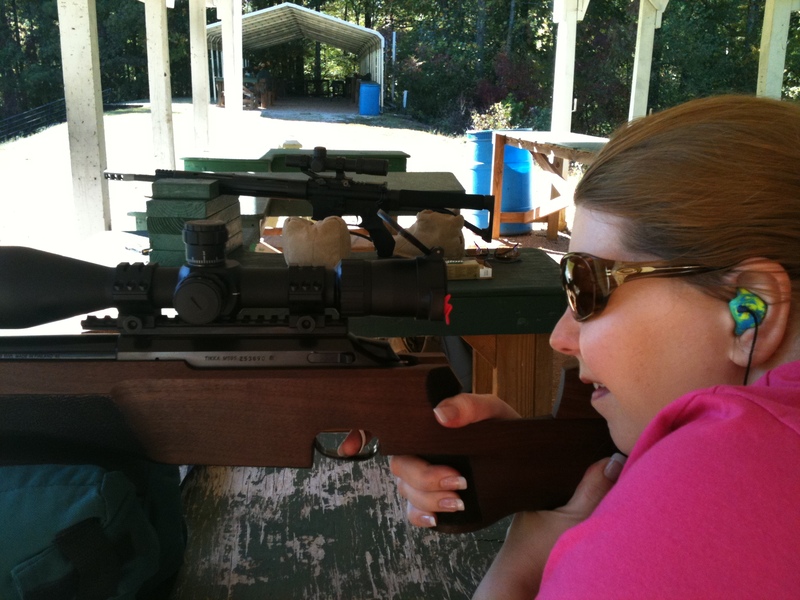 This entry was posted in For Women, Gun Reviews, Hunting, Product Reviews and tagged Amy Carducci, best 308 ammo, best hunting rifle, best tikka rifle, caldwell shooting bag, Carducci Tactical, Custom AR, danny carducci, enhanced mildot reticle, harris bipods, Nosler Ammunition, rifle practice, south river gun club, Surefire suppressor, Tikka Master Sporter, Weaver Tactical Scope. Bookmark the permalink.